Rumor: Is LEGO Working on a Minecraft-Like Game Called LEGO Worlds? 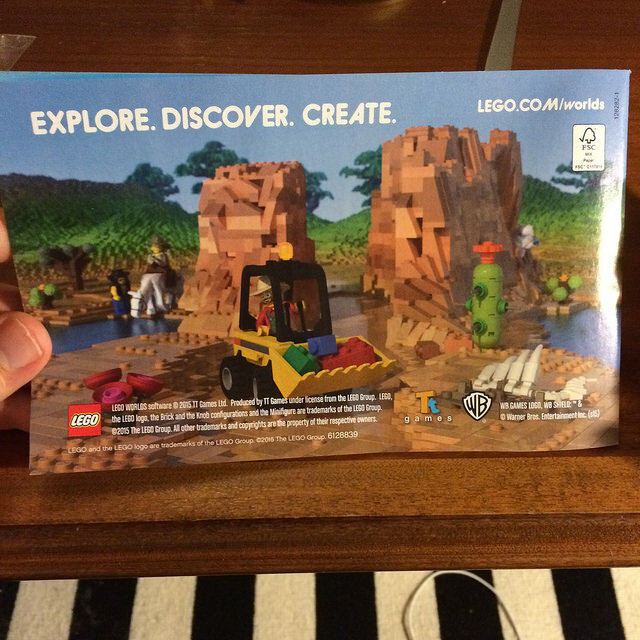 It appears that LEGO is working on a Minecraft-like game called LEGO Worlds. This is according to an advertisement discovered by a member of LEGO fan site, Eurobricks. LEGO and Minecraft have partnered in the past, with LEGO creating physical box sets with Minecraft branding. The logos of both TT Games and WB Games, the developer and publisher of the various LEGO video games can be seen in the above picture. There’s also a link to a website — Lego.com/Worlds — but that link brings up LEGO’s 404 page. However, with this year’s E3 around the corner, more details could be coming soon.